NEW RESEARCH from People HR has found that Brits are reluctant to call in sick, many because they’re afraid of their boss and office backlash. 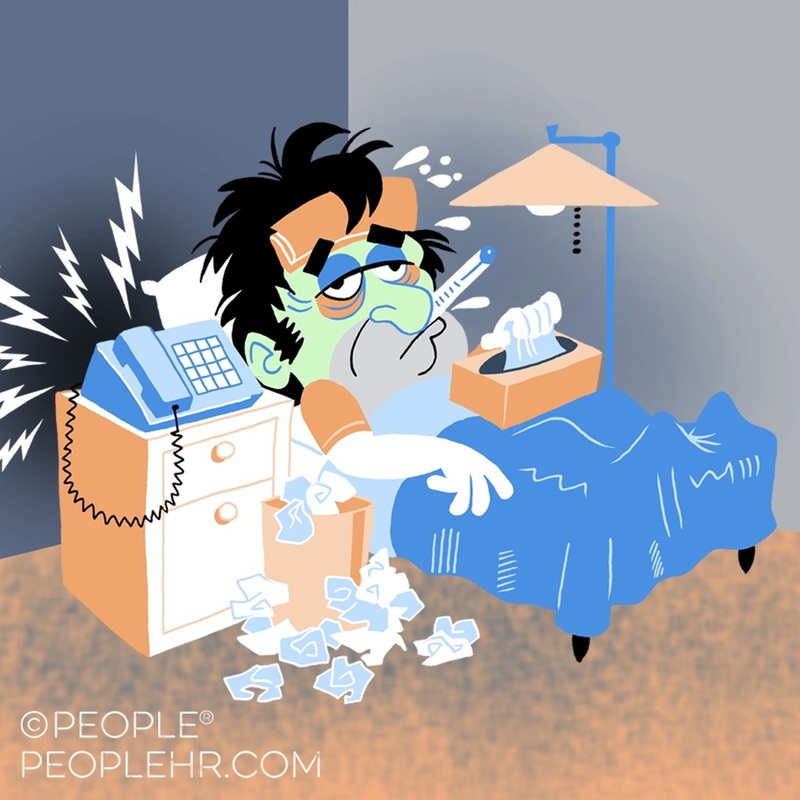 More than three quarters (79%) of Brits have forced themselves to go in to work whilst feeling under the weather, with more than one in ten (13%) experiencing judgment from colleagues and nearly a quarter (24%) due to pressure from their boss. Feeling obliged to come in to work despite illness, two thirds of Brits (66%) have still gone to work when suffering from a cold or flu and over a fifth (22%) when suffering from stress, or an emotional crisis. Perhaps this is due to two fifths (40%) feeling their boss did not believe they were genuinely ill when they have previously taken a sick day. For those who are brave enough to bite the bullet and call in unwell, more than two thirds (67%) said they feel guilty for taking time off work due to illness, or health related issues. This could explain why so many Brits are reluctant to speak to their employer about their health and wellbeing. Nearly a third of Brits (30%) admitted they are too scared to talk to their boss about needing time off for a health-related issue, whilst almost three quarters (72%) say there are times their current employer does not do enough to look after their physical and mental wellbeing. For many, office benefits would help to improve their wellbeing and help employees perform better, making them more than just a perk of the job. Nearly half of Brits (45%) said they would consider workplace benefits more valuable than receiving a higher salary. Personal benefits such as a day off for your birthday (33%), unlimited holiday (29%) and something as simple as fruit being provided (27%) proved to be more popular than what most employers currently offer, discounted membership at nearby gyms (17%). Surprisingly nearly half of Brits (47%) admitted that their current employer does not offer any benefits of perks in order to improve their wellbeing.